I came across this scene driving in the Loess Hills in western Iowa. 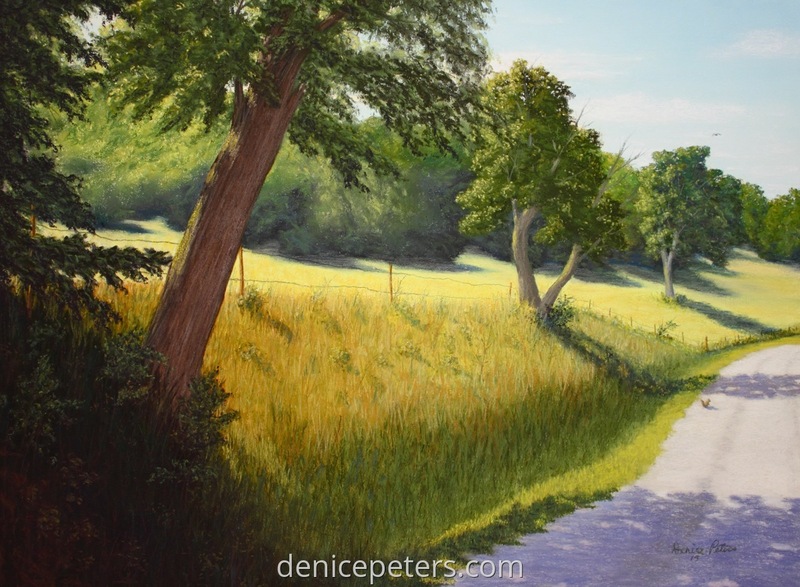 I just loved the light shining through the trees and onto the grass and road. For fun, I added the little squirrel on the road. 8" x 11"11" x 15"14" x 19"17" x 23.25"